If you are looking for the best source of wide range of quality alloy wheels for TATA , look no further than www.alloywheelsindia.com. We are one of the India's leading suppliers of genuine alloy wheels. Our online store features a broad selection of alloy wheels for TATA , some of the biggest brands and leading manufacturers, all of which are available at very competitive prices. If you want to add an impressive finishing touch to your TATA ,our alloys could be the perfect investment. If you love your TATA , you will want only the best TATA alloy wheels available. Aside from good looking and stylish, we offer the finest quality alloy wheels designed specifically to fit your TATA Whatever your budget or requirements, you will be able to find alloy wheels for TATA to match when shopping with www.alloywheelsindia.com. We do not sell low quality cheap alloy wheels, we only sell top alloy wheels brands for TATA , they just happen to be at an unbelievable price ! Cheap alloy wheels from other providers can mean low quality replica wheels, but not here at www.alloywheelsindia.com, we only sell alloy wheels that we would put on our own TATA We promise value for your hard earned money. We are a family owned business committed to delivering quality products quickly. Our company was established way back in 2007 & since then we have selling alloy wheels to customers all over India. As our business has grown, our technical experience & product knowledge has increased rapidly, and we have become one of the most experienced alloy wheels suppliers in India priding ourselves on providing high levels of both pre-sales and after-sales support. We are the alloy wheels experts and have an extensive range of alloy wheels for TATA for quick delivery. Our alloy wheels will not only enhance the exterior aesthetics of your TATA but will make your driving more comfortable & enjoyable too. 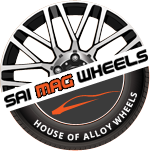 Why should I buy alloy wheels for TATA from www.alloywheelsindia.com? Go ahead & super charge your TATA by investing in good quality alloy wheels available at www.alloywheelsindia.com and give your TATA a unique appearance.